The Swagtron T1 and T3 hoverboards (also named drift boards, self balancing scooters and hands-free smart boards) were created by Swagway, a company located in Indiana, USA; which is considered to be one of the global pioneers of the hoverboards game, and, for many, it’s the best one in this field. Moreover, Swagtron hoverboards are considered to be the safest hoverboards in the world, thus, they set a standard for other hoverboard brands. Both the T1 and T3 are UL listed; actually, the T1 was the first hoverboard that received this certification. It’s an international safety company with proven history and objectivity regarding the best standards for safety. For products to be UL Listed, they must comply with nineteen differents tests, including strain relief, motor overload, short circuit, isolation resistance crash, overcharge and shock tests, among others. For that reason, there’s no risk that these particular hoverboards will cause any fires, just like some Chinese models used to. That’s the reason why at some point many hoverboard brands were taken out of the market and Swagway’s boards were actually the first ones that were sold in big companies like Amazon, Best Buy and Circuit City; (due to the fact that this UL certification constituted a warranty of these hoverboards’ safety). The UL certification holographic label can be found on the back of Swagtron’s hoverboards. It is well-built with high quality components, powerful, easy to control and responsive hoverboard with top-of-the-line gyroscopes. It’s controlled by Dynamic Equilibrium, which is based on body weight shifting. Also it’s light and great looking. A 300 watt motor and gear stabilization: It rides stably and smoothly at a 8 mph speed. Also it has an 12+ mile range on a single charge. Weight limit: It has a 220 pounds weight limit, which is high compared to other hoverboards. Safe Stop Technology: When this hoverboard’s battery is too low, it emits a beep informing such situation so that users won’t fall all of a sudden, which tends to happens with other hoverboards. Two available modes: The T1 includes only two modes which are Learning and Standard Mode. The Learning Mode governs speed until users get adapted to using this hoverboard, after which they can switch to Standard Mode, where they can really get all the juice out of this product. 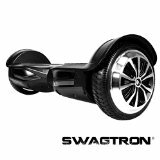 Front and read LED Headlights: The Swagtron comes with energy efficient and bright LED lights that allow users to use this hoverboard during night time, which is particularly useful because users aren’t limited to using this product only during days. Front lights are blue and the rear, green. Also, a green light blinks when turning left or right. Finally, when slowing down, green lights switch to red. Sentry Shield Battery: Swagtron’s Lithium-ion Multi-layered batteries are safer than the ones that are used by many Chinese companies. Moreover, both the T1 and T3 batteries come in an aluminum casing, which prevents fires caused by potential fail or overcharge. Furthermore, this system protects against overvoltage, overcharging, overheating and overcurrent; so, as stated above, there’s no way that this product will catch fire. Battery Indicators: Through a 5 light indicators system, this product informs users how much battery this hoverboard has left while they ride. This gives users the possibility of planning their rides, because with this function they may calculate an approximate of how much longer can they safely use their Swagtron hoverboard. Silicon wheel arch protectors: These protectors, combined with the ABS casing, make this hoverboard the most durable one that exists nowadays. One year warranty: This warranty covers manufacturing defects. Also the Swagtron hoverboard has a thirty days return policy. Note that this policy works only if the hoverboard is returned intact. Green technology: This hoverboard makes zero emissions so it’s great for the environment. What’s inside the T1’s box? One (1) genuine Swagtron Hoverboard. 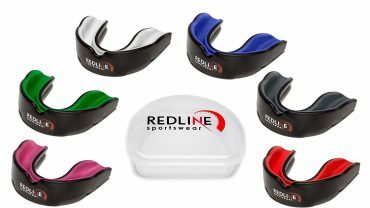 Finally, it comes in the following colors: Black, blue, red, yellow, pink and white; and costs $399.99. Built-in bluetooth speakers: It’s possible to pair the T3 to mobile devices in order to listen to music while riding this hoverboard. The quality of the speakers is good and the audio, clean. Built in carrying strap: The T3 is easier to carry than the T1 because of this carrying strap, conveniently located underneath the board. The Swagtron App: Through this application it’s possible to monitor T3’s battery status, keep track of ridden routes and contact Swagtron customer care. Speaking of which, users have reported that Swagtron’s customer care staffers are very kind and answer to any questions users might have. Advanced mode: The T3 also has T1’s learner and standard mode, but also has advanced mode which was designed, as it name says, for advanced scooter users. In this mode is possible to disable all the limiters that this hoverboard has. 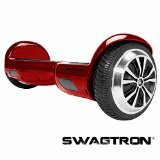 Finally, the Swagtron T3 also comes in these colors: Black, blue, red, yellow, pink and white; and costs $499.99. So, in conclusion, Which one should you buy? As stated above, the T1 is $100 cheaper than the T3, but the latter has more features. Now, both hoverboards are great: The t1 has basic features and the T3 -besides the carrying strap, Bluetooth speakers and mobile app-, the advanced mode, which will spike the interest of advanced scooter users. So it all comes down to a matter of budget: On one hand, if it’s possible for you to buy the T3 it will be a great choice because you will definitely get a VIP product. On the other hand, if the T3 is too pricey for you, choosing the T1 will also assure you a great experience.